Everyone loves summer vacation with its lazy days, picnics, swimming, biking, visits to the park, and more. A few simple reminders can make your summer a safe one. Kids and adults are at greater risk for sunburns during the summer months, and besides being painful, sunburns can lead to skin cancer down the road. According to the Centers for Disease Control and Prevention (CDC), only 58 percent of adults practice proper sun safety procedures, such as applying sunscreen and seeking shade. Teaching sun safety to kids can help them have better behaviors as adults. Wear a sun hat whenever possible to protect your face from harmful rays. Bring a shade enclosure or large umbrella if you'll be spending a lot of time in the sun. Use caution even on cloudy days since you can still get a sunburn when you can't see the sun. Protect your eyes too. Never look directly at the sun and wear sunglasses to block some of the UV rays. In addition to its burning potential, the sun can also cause people to overheat, particularly in the long, hot summer days. Teaching summer heat safety tips can help prevent heatstroke and dehydration during fun activities or outside work. Learn the signs of heat rash. This pink rash looks like tiny pimples and indicates someone has spent too much time in the heat. Monitor your body closely for signs you may be too hot, such as headaches, dizziness, and dry mouth. Remember it gets hot inside too. If you don't have air conditioning, keep clothing light and use fans to cool rooms. Know you can become overheated on cloudy days just as easily as sunny ones. Don't let the weather fool you into thinking the heat isn't a danger. Summer vacation is a time that many children stay home alone. Adults may be working all day, and older kids may prefer the freedom of being home to a summer camp or daycare program. It's quite common; in fact, seven million kids between the ages of five and 14 are regularly left home without adult supervision. Monitor diet. It's not an acute danger, but eating poorly can affect your child's overall health. Plan for healthy meals and snacks and limit access to low quality foods when you are away. Talk to kids about stranger safety. Make sure everyone understands the rules about people coming to the door, how to answer the phone, and other considerations. Keep an eye on screen time. With huge blocks of uninterrupted time, kids who are left to their own devices may spend too much time on the computer, tablet, or phone or in front of the TV. Learn about basic internet safety and how to protect your child when you aren't home. Make sure kids have a plan for emergencies. Post cell phone numbers and fire escape plans in easy-access locations and practice various scenarios regularly. When it's hot out, there's nothing more fun than playing with summer toys. However, from trampoline injuries to mold contamination, these fun items also come with hidden dangers. Think twice about trampolines. According to Parents Magazine, trampoline use is involved in about 92,000 injuries every year. If you decide to have a trampoline at home, choose one with an enclosure and make a rule that only one child may use it at a time. Inspect playhouses and tree houses. If your treehouse or play house is in poor shape, take some time to repair it. Pay special attention to structural integrity, nails or screws that may be sticking out, and mold or mildew that may have grown while it wasn't in use. Check for toy recalls that may affect outdoor items, such as the Step 2 Sand and Water Transportation Station, which posed a choking hazard. The United States Consumer Product Safety Commission keeps a list of all current recalls, so check it regularly to see if any of your summer toys are affected. For water slides and other similar toys, it's a good idea to perform a beginning-of-summer inspection for sharp edges. Sometimes, wear and tear can expose sharp places that can scrape people as they enjoy the water toy. Water is another source of summer fun and another hazard. According to the CDC, more than 3,500 people die annually from drowning. As you're addressing summer safety topics, be sure to include water safety games, coloring pages, and other activities to help children and adults understand how to handle this hazard. Don't forget to consider water quality. Before heading to the beach, check for contamination with harmful bacteria like E. coli. Most public beaches will post a sign to close the beach in the event of contamination, but you can also find closure updates on local news sites. Use caution near flowing waterways, as well as pools and lakes. Rivers and creeks can experience a sudden rise in water levels in early summer, and this can take people by surprise. Keep this in mind when fishing or playing near moving water. When camping, don't drink lake or river water unless you use a water purifier or are in a place known for clean waterways. A variety of micro-organisms live in contaminated water and can make you ill.
Summer is a great time for taking family trips and vacations, but these activities can also make you vulnerable to new hazards. Remember to keep summer vacation safety tips in mind when you travel, such as stopping your mail while you're away and packing appropriate gear for your trip. Don't plan to drive when you know you'll be tired. 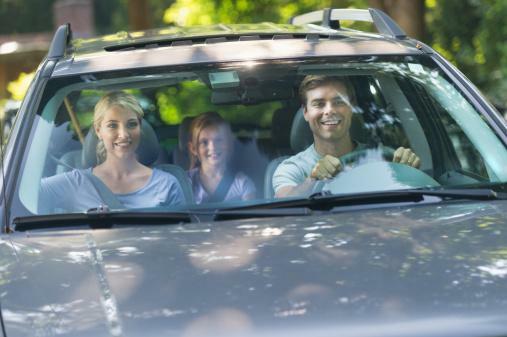 A road trip is fun, and it's tempting to try to reach your destination as quickly as possible. However, up to 60 percent of adult drivers have driven while drowsy. Plan for frequent stops and shorter times on the road. Make sure your car is road-safe before you set out on a long trip. Perform proper maintenance and pack an emergency kit to help. Use caution when posting on social media about your trip. Publicly announcing you're out of town can be an invitation to potential burglars. Summer is also the season of lighting storms and other weather events. From tornados to dust storms, safety training for severe weather can make a big difference in the health and security of your family. Take some time to review the basics, including assembling an emergency supply kit and assigning a meeting spot in the safest area of your home. Hurricanes can present a major safety concern near the end of summer. Keep on top of current and developing Hurricanes by regularly checking the National Hurricane Center website for updates. Storms can make children and some adults nervous, but anxiety can make it harder to make decisions in an emergency. Learn positive strategies for managing stress, such as deep breathing and visualization, to help you manage storm anxiety and make good decisions when you need to. While cell phones and computers are a great way to get news and weather updates in a storm emergency, it's also a good idea to have a back-up crank radio in case you don't have access to power or cell service. Kids and adults alike love riding bikes in the summer. As part of your seasonal safety discussion, don't forget to include practical bicycle safety tips like choosing a bike that fits and wearing a helmet. Teaching and enforcing bike safety in your family can save lives. At the beginning of the summer, practice bike safety in a parking lot or driveway before heading out on the road. Periodically review kids' bike safety knowledge throughout the summer. Ask questions about how they would handle various situations and observe their behavior on short rides. Set a good example for younger riders by always wearing appropriate safety gear and keeping your bike in good working order. From growing your own food to creating gorgeous flower bouquets, gardening is a wonderful summer hobby. However, like any hobby, it does come with some safety concerns. Know the dangers of the plants in your yard. Especially if you have young children or pets near your home, you should avoid or limit plantings of poisonous plants. Read the label on all products you use in your garden. Many fertilizers and pesticides are extremely poisonous, so you should always keep them out of reach of children and pets. Learn about venomous snakes that live in your area. If you are working or playing in the garden and encounter a snake you can't identify, give it plenty of space. Look for poisonous mushrooms that may be living near your garden. Learning to identify mushrooms can help you remove these dangerous species from your yard. Whether you're gathered around the backyard fire pit or toasting marshmallows on a camping trip, summer fire safety is important. Knowing where and how to build a fire safely, as well as how to put out a fire that gets out of control, can keep you and your children safe. Teach children how to deal with an unexpected fire and rehearse the steps they need to take. Make sure everyone in the family is aware of fire extinguishers and sprinklers and knows how to use them when needed. Remember fireworks and sparklers can present a major fire hazard, especially when the conditions are dry. Have water handy and consider pre-soaking the ground in the area before you begin. Rehearse the steps to take if you see a fire in your area. Make sure emergency numbers are posted for children. From lighting a grill to cooking meat to the proper temperature, outdoor cooking safety is another important topic to cover during the summer. Gas grill safety, as well as proper operation of charcoal grills, can keep you and your family safe during your barbeque or picnic this summer. Be aware about food safety guidelines. Proper storage and cooking of food is essential to keep everyone healthy. Have everything you need for grilling close at hand. That way, you won't have to leave the grill unattended as you run to get something you need. If you'll be hosting people with food allergies, make sure you grill on a separate pan or clean the grill service extremely well. Even a small amount of an allergin can cause an extreme reaction in some people. 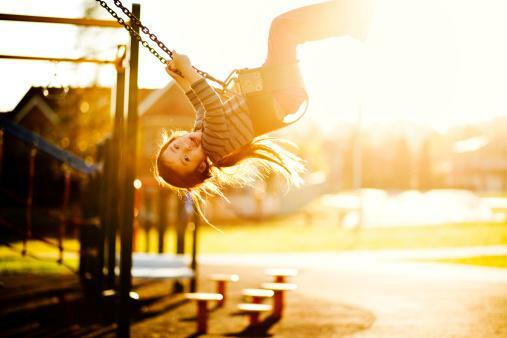 If you have young kids, it's a good idea to review children's summer safety tips, especially when it comes to playground safety. From unsafe structures to a lack of falling surfaces, playground hazards can turn a good time into an unsafe situation. Teach your kids how to spot these hazards and move on to a new playground. Check for hot slides as soon as you get to the park. Metal slides, in particular, can become dangerously hot on sunny days. Examine structures for sharp edges or potential hazards before you let kids play. Look inside tunnels and under surfaces for wasps' nests. These areas are protected from weather and can attract dangerous pests. You may already be aware of typical home safety hazards like poisonous household cleansers and carbon monoxide, but did you know the summer season comes with its own unique set of safety concerns around the house? Rising temperatures and other seasonal factors create situations that require extra caution. Turning on a portable fan is a great way to cool off on a hot day, but fans can be dangerous. Before using a fan, inspect it carefully to make sure the protective guard is intact and does not have any holes that would allow hands or fingers to reach the blades. Also check to make sure the cord is in good shape. Opening a window is another method for cooling your home if you don't have air conditioning; however, it can present a hazard - especially on the second story. 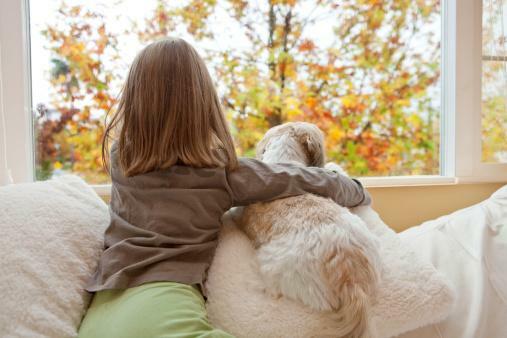 According to the National Safety Council, about 3,300 children require emergency treatment each year after falls from windows. If you need to open a window on the second story or higher, make sure it is not near a child's play area and be sure to supervise the child at all times. Lawn mowers are another summertime safety concern. According to the American Academy of Orthopaedic Surgeons, more than 274,000 people were injured by mowers in 2015 - many from objects sent flying at speeds of up to 100 miles per hour. Before mowing, always clear the lawn of any toys, rocks, wood, and debris. Never ride with children, and always be sure children are a safe distance away. No discussion of safety topics for summer would be complete without talking about bugs. Stinging insects are busy making the rounds of the flowers, and there are many varieties of bugs, like ticks and mosquitoes, waiting for their next innocent victims. Avoid scented perfumes and soaps in the summer since some products may attract bees and other insects. Get rid of pools of stagnant water around your home as these can be a breeding area for mosquitos. Always do a tick check at the end of the day if you live in an area where ticks are problematic. If you are concerned about bees or other insects, avoid open food and gardens heavy with blooms. Use summer safety lesson plans to help kids understand the importance of safety procedures. After reviewing safety topics, make a summer safety quiz with the items you find most important. Form into teams and see which side has the best score. Give kids a fun reminder by using coloring sheets for summer safety. With topics like sun and water safety, these coloring sheets are fun and educational. Use summer safety songs to help children and adults remember prober safety procedures for all kinds of warm weather activities. Summer is a great time for family fun and outdoor activities. With a few simple precautions, you and your kids can make memories that do not include visits to the emergency room!